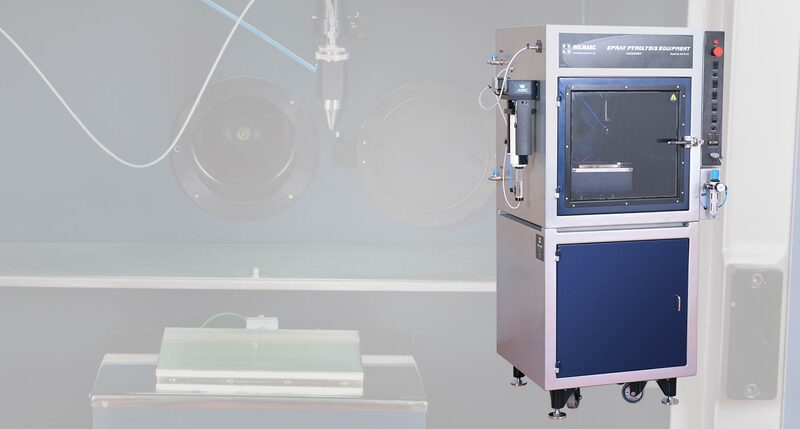 Holmarc’s Spray Pyrolysis system has been designed for research laboratories in thin films, especially for solar cell development. The system automates various fatigue and error creating processes involved in the technique when performed manually. 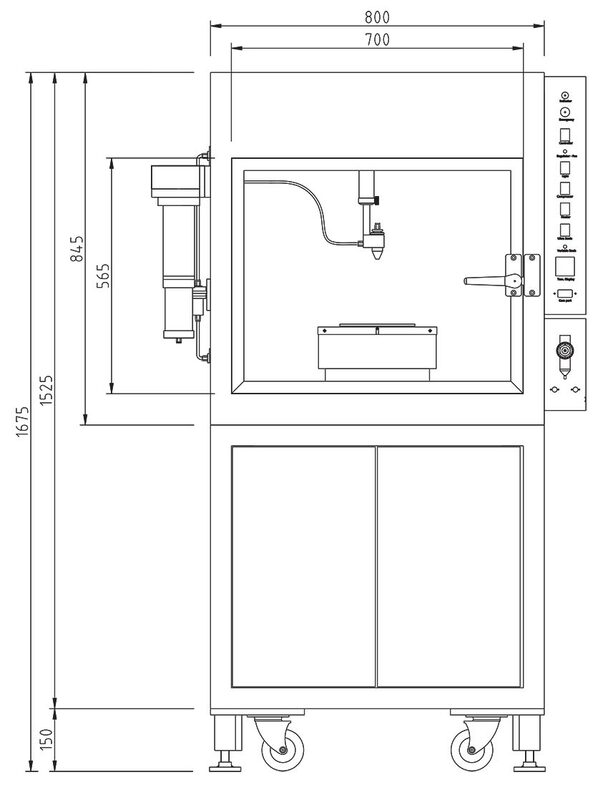 Moreover, ergonomically designed chamber provides clean and healthy atmosphere suitable for modern lab conditions. Parameters like dispensing rate of the solution and speed of spray head movement which are difficult to control manually are controlled precisely by PC based automation. A positive displacement pump controlled by stepper motor and microprocessor is used to dispense solution as per requirement. The spray head movement is also controlled by stepper motor driven linear stages in X and Y direction. The temperature of the substrate heater plate is controlled independently through a dedicated controller. A desk top computer with windows OS is used to control the operations through serial port. Our dedicated software for spray pyrolysis system can as well be used for documenting the relevant parameters used for sample preparation like temperature, air pressure, duration, etc. Spray pyrolysis is a process in which a thin film is deposited by spraying a solution on a heated surface, where the constituent react to form a chemical compound. The chemical reactants are selected such that the products other than the desired compound are volatile at the temperature of deposition. The process is particularly useful for the deposition of oxides and has long been a production method for applying a transparent electrical conductor of Tin oxide (SnO2) or Stannic oxide to glass. Dispensing rate : 1 - 10ml / min. Sprayer traverse : X - Y 200mm max.